Rainbow chasers, get ready. 2017 Prizm Football is on the way. This Wednesday, one of the hobby’s most colorful and collected brands returns for a new football season boasting that trademark palette of chase-worthy Prizms, new enhancements (such as the striking Illumination and Stained Glass inserts) and a tribute to legendary wide receiver Randy Moss. 2017 Prizm Football is slated to arrive at Sports Cards Plus on Wednesday, October 25th and each hobby box (12 cards per pack, 12 packs per box, 12 boxes per case) will deliver, on average, three autographs and nine numbered Prizm parallels. Additional highlights of the colorful, captivating 2017 Prizm Football include . . .
---Plenty of sizzle and shine in each box. 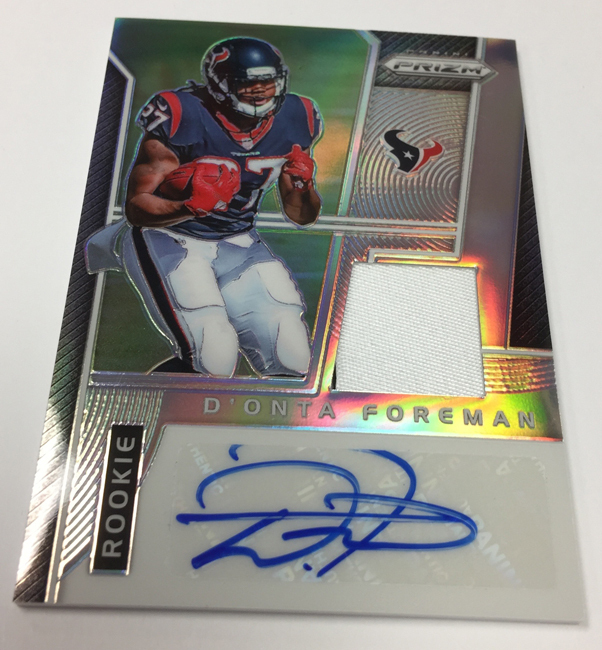 Look for nine Prizm parallels #’d/275 or less per box, on average. 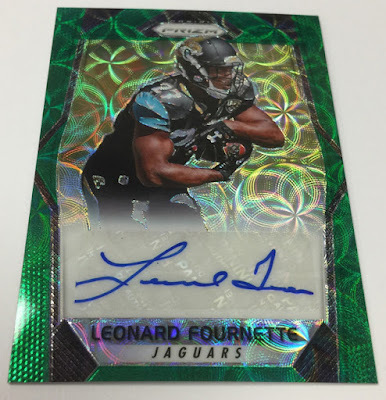 ---Three autographs per box, on average, and an autograph parallel roster that includes Gold Vinyl(numbered to five) and Black Finite 1/1 versions. 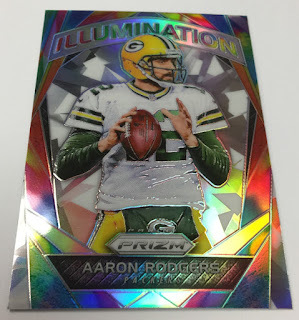 Additional new parallels include Green Scope, Purple Crystals and Red Power. ---The aforementioned Randy Moss Tribute insert is hobby-only and features 15 cards, including one card paying homage to each of his 14 seasons (numbered to his jersey number for that respective season) and a 15th career retrospective card featuring an autograph and limited to just 25 copies. ---Find one Rookie Patch Autograph (numbered to 99 or less) per case, on average, including Gold and Black Finite parallels. 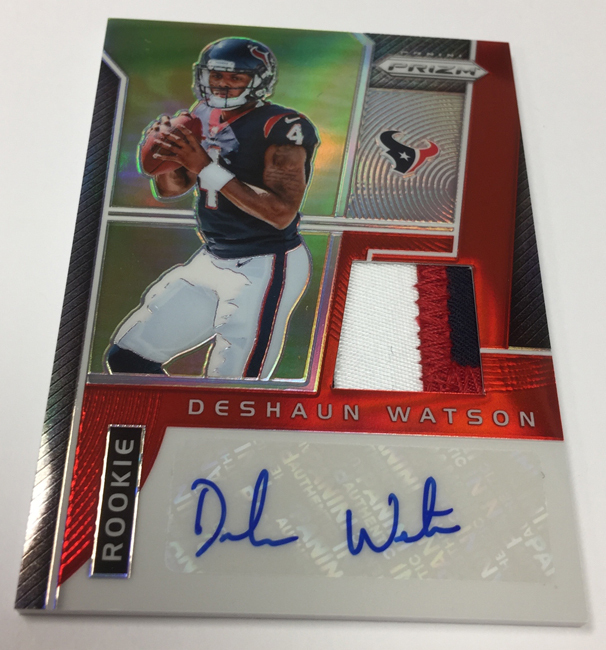 ---A robust roster of new inserts, including Illumination, Stained Glass, Super Bowl MVPs and NFL MVPs. 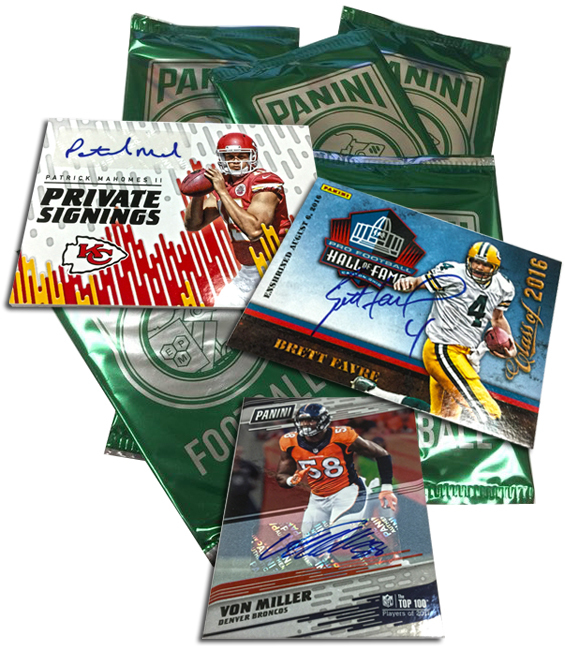 ---2017 Prizm Football will be included in Panini America’s second annual Kickoff Pack promotion that will award collectors with one free 2017 NFL Kickoff pack for every box of 2017 Prizm Football purchased.